Shad Khan, Iguana and the Jacksonville Jaguars aren't the only party interested in building a convention center in downtown. On August 1, 2018, three development teams responded to the Downtown Investment Authority's Request for Proposals for a convention center, hotel, and parking garage. 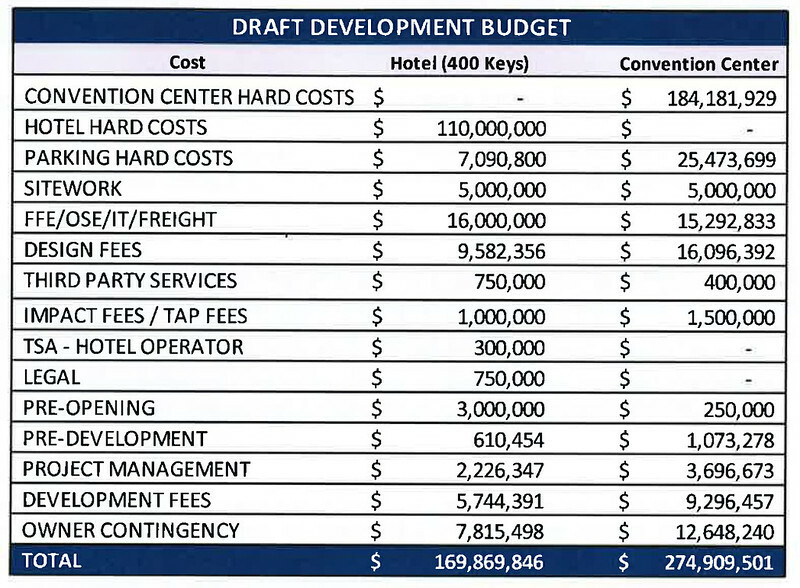 Here's a brief look at the proposals submitted by Jacobs, Jacksonville Convention Center Partners and Rimrock Devlin - DeBartolo Development, LLC. Let us know what you think! The JCCP team is comprised of Preston Hollow Capital, LLC., Matthews Southwest Hospitality, Interstate Hotel and Resorts, Nunzio Marc DeSantis Architects and Provident Resources Group. JCCP has proposed a project consisting of a 12-story, 400 room hotel, a two-story convention center with 200,000 square feet of exhibition space and approximately 1,800 parking spaces in a six level garage. 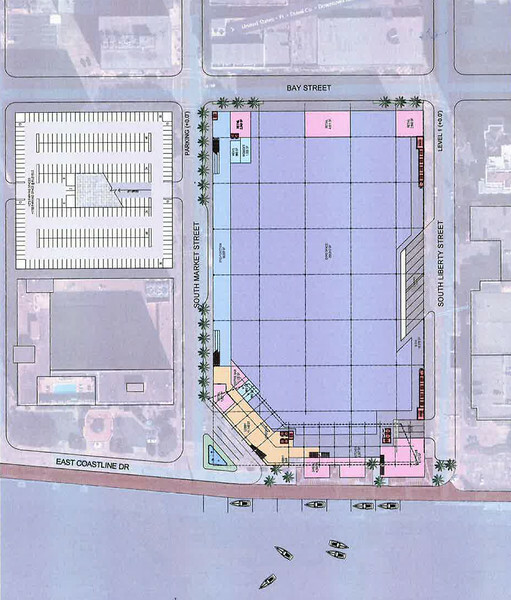 Street level retail/dining spaces would face Bay Street and the riverwalk. Total project costs are estimated to be approximately $445 million. In addition, JCCP requests public incentives equal to $229 million in the form of upfront cash, and/or some combination of project and citywide pledge of taxes. Construction of the project would begin in early 2020 with an early 2022 completion date.